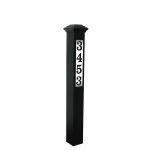 Our versatile LED Lighted Address Posts ensure your house number is clearly visible both day and night. 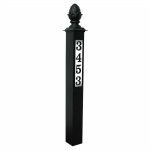 The 4" square post is 48" tall and comes with a decorative finial. 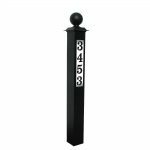 Made of black powder-coated aluminum with acrylic lens. 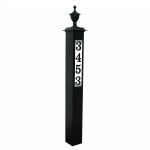 A low voltage transformer is included. Unit requires hardwired power source. 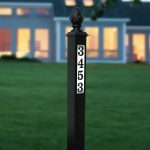 Post comes with two sets of 3" black vinyl numbers (0-9).